Hanoi (VNA) – The Vietnam-Sweden Friendship Association (VSFA) will do its utmost to promote friendship and cooperation between the two countries across fields, VSFA President Hoang The Lien has stated. Speaking at a gathering in Hanoi on September 28 on the occasion of the 30 th death anniversary of late Swedish Prime Minister Olof Palme, Lien said the event offers a chance for the two nations to look back on their bilateral ties as well as great contributions of the late PM to the relations. Swedish Ambassador to Vietnam Pereric Hogberg highlighted the fruitful development of the Vietnam-Sweden relations, which was nurtured by the two nations’ generations of leaders, including Olof Palme, in nearly the last five decades. He expressed his hope that the friendship and cooperation between Vietnam and Sweden will further expand in the coming time. 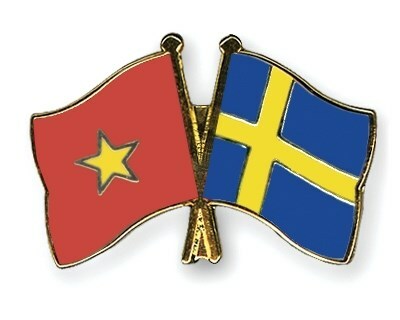 Sweden established diplomatic ties with Vietnam on November 1, 1969, becoming one of the first western countries setting up ties with the Southeast Asian nation. This relationship was originated from solidarity movements to support Vietnam’s struggles for national independence, which attracted the involvement of Sweden’s political parties and people from all walks of life and, especially late PM Olof Palme. Sweden was the second biggest official development assistance (ODA) provider for Vietnam in the 1970s, the biggest in the 1980s and fourth in the 1990s. Olof Palme (1927 – 1986) served as the Swedish PM from 1969 – 1976 and again from 1982 – 1986. He was a great friend of Vietnam in the nation’s struggle for liberation. He pursued cooperation with and support for Vietnam in national reconstruction, and helped the country build many facilities, including the National Hospital of Pediatrics, the Vietnam – Sweden Hospital and the Bai Bang Paper Factory.